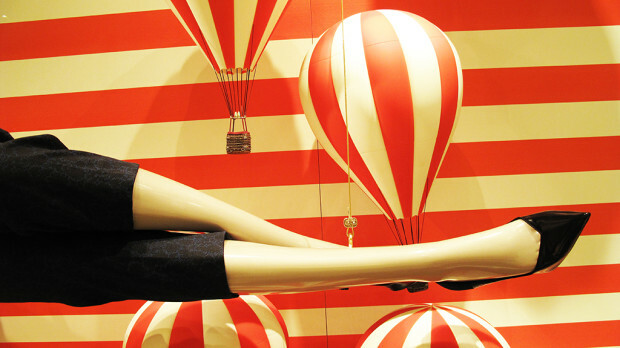 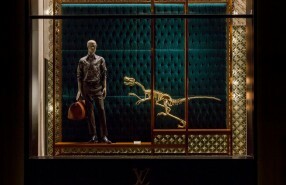 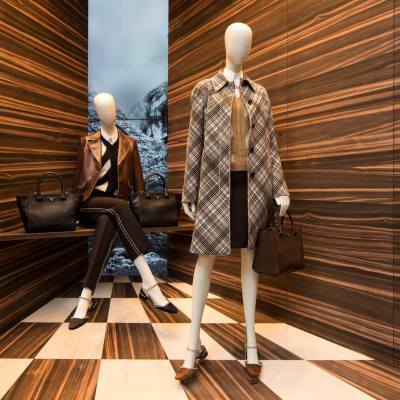 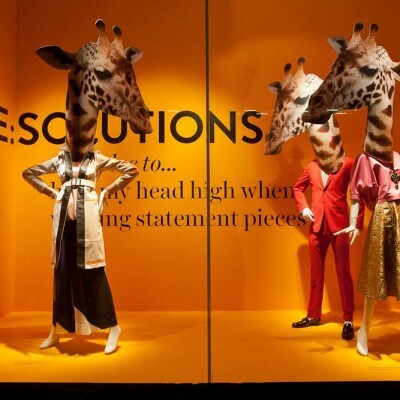 Louis Vuitton “L’invitation au Voyage” Pre-fall window displays are surely an invitation to travel. 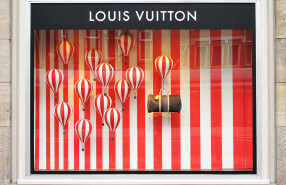 With different kind of props which are related to travel like hot air balloons, suitcases Louis Vuitton is motivating you to travel. 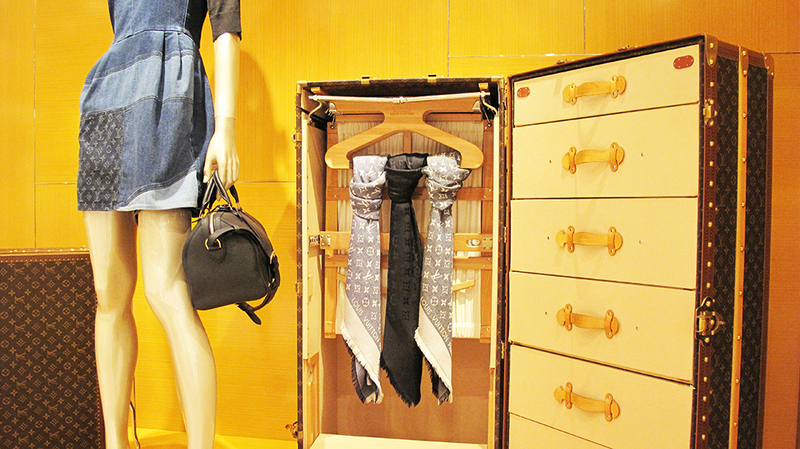 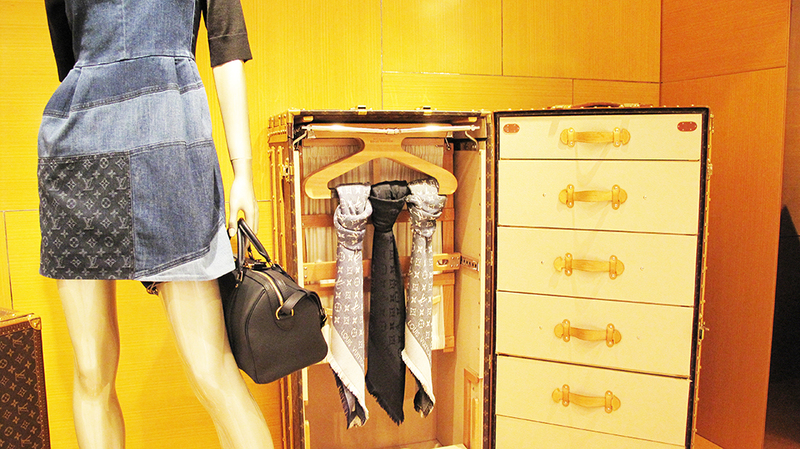 A suitcase with drawers in it, how handy is that. 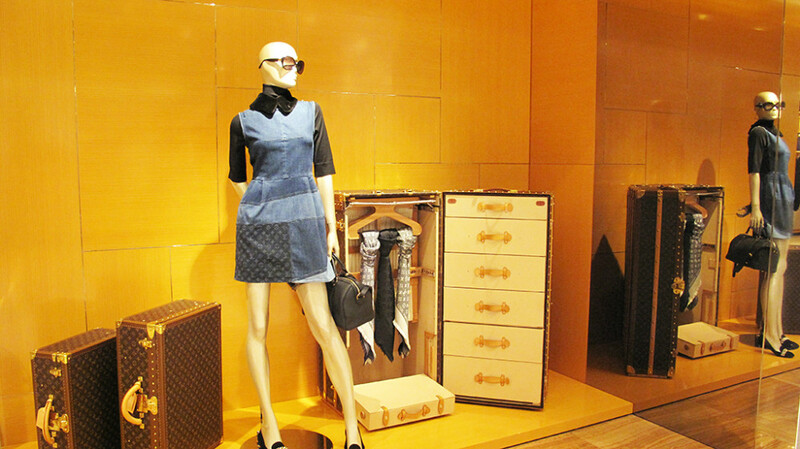 Louis Vuitton Pre-Fall 2013 patchwork denim dress. 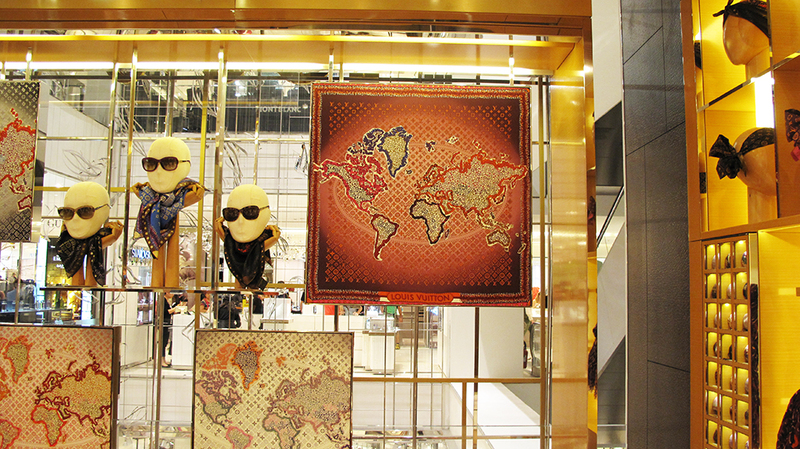 The Louis Vuitton monogram map square scarfs. 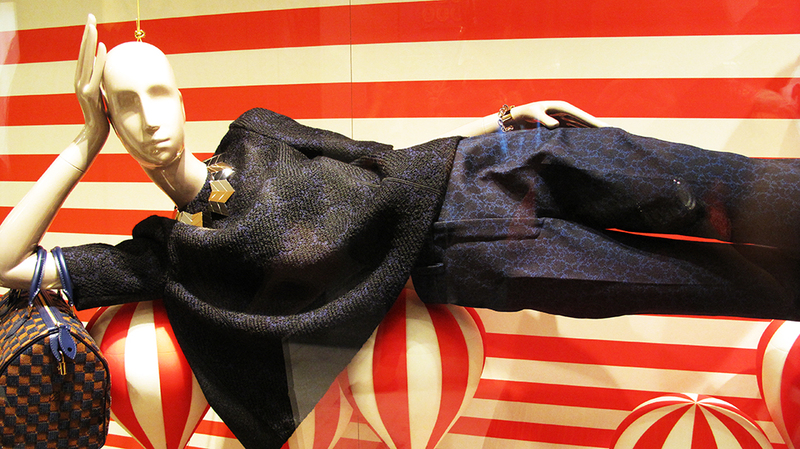 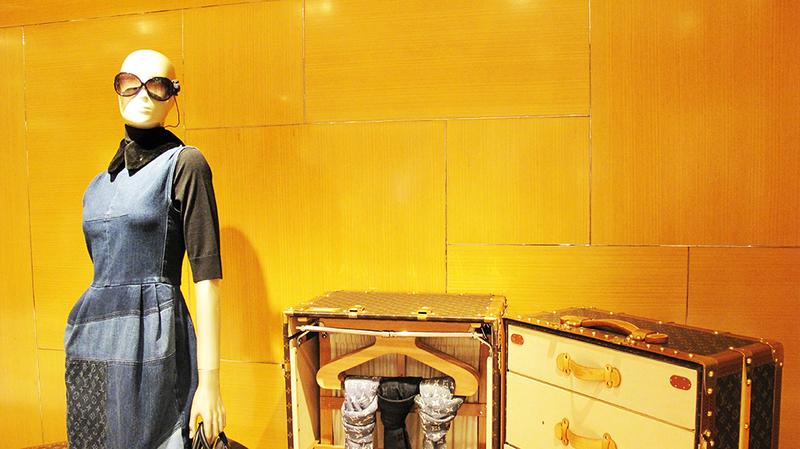 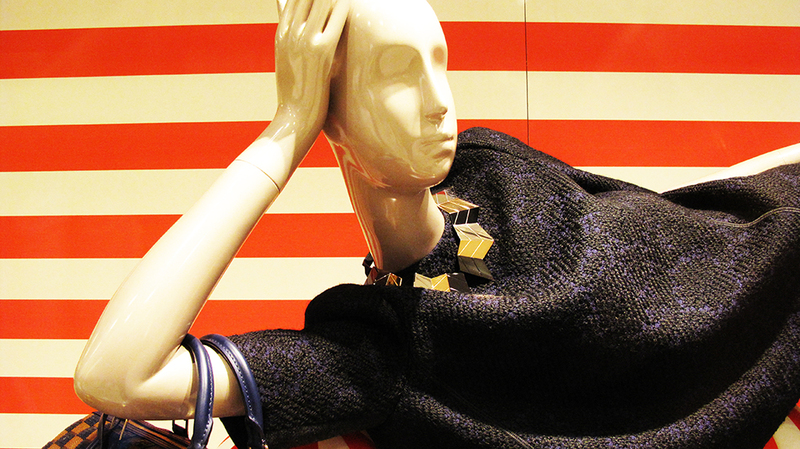 The mannequin is dressed in the 3/4 sleeved blouse and the blue printed boyfriend pants. 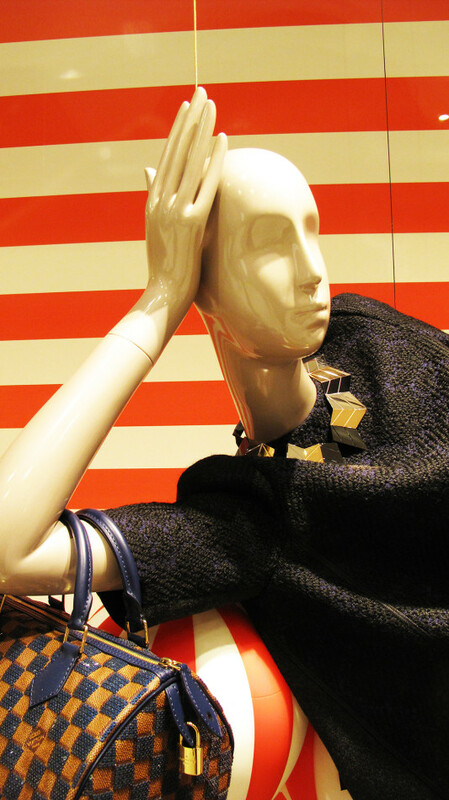 The jewelry piece is the Crew Necklace ZigZag, which is influenced by the graphic shapes and bold contrasts characteristic of the Art Deco period. This is look 19 from the Louis Vuitton Women’s Prefall 2013 Lookbook. 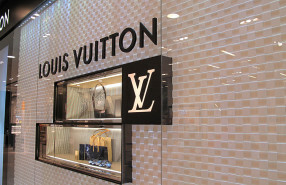 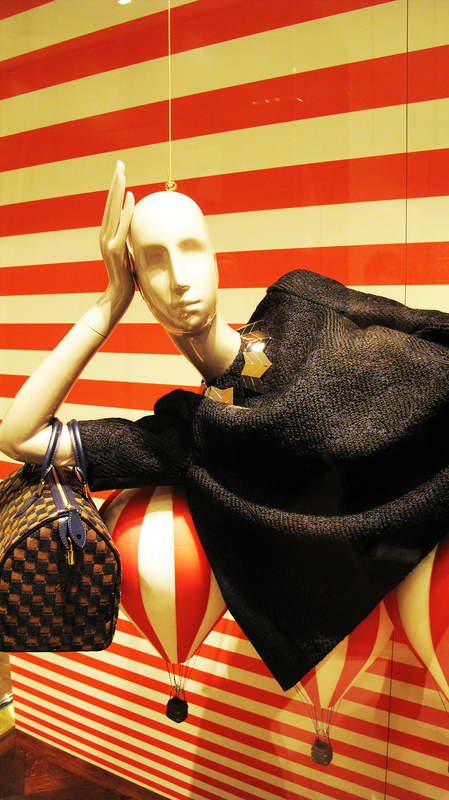 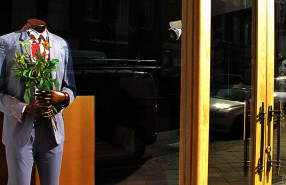 The mannequin is holding the blue Louis Vuitton Damier Paillettes Speedy 30 bag. 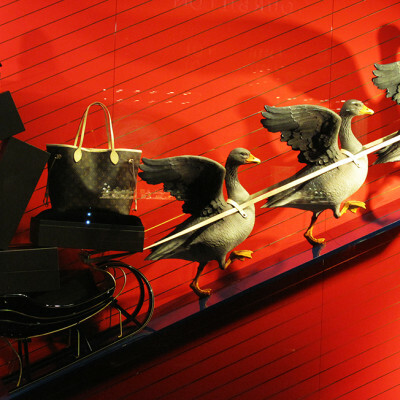 The black Louis Vuitton Glam Rock Pumps.